Truck Co Dispatch. The easiest and most efficient Dispatch software to use. Download Truck Co. Dispatch. Full function paid version. 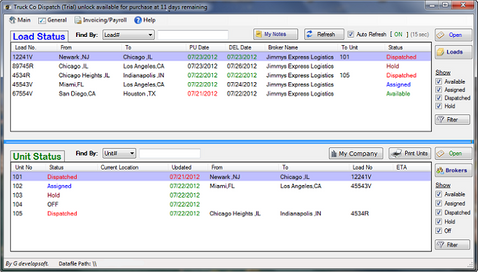 Download Truck Co. Dispatch Client. To share on network Free Version. Truck Co. Dispatch. Will become available for purchase at 11 days of trial remaining. Because the application requires Administrator privileges to use some features, Windows might ask you for permission to run Truck Co. Dispatch every time you run it. 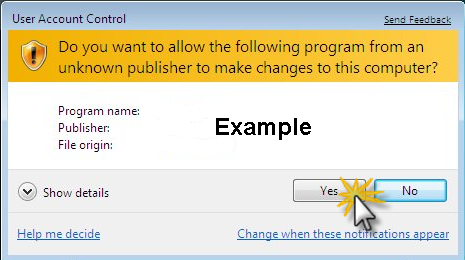 Click "Yes" to run the application example below. Refer to (UAC) User Access Control from the Microsoft web site for more info.